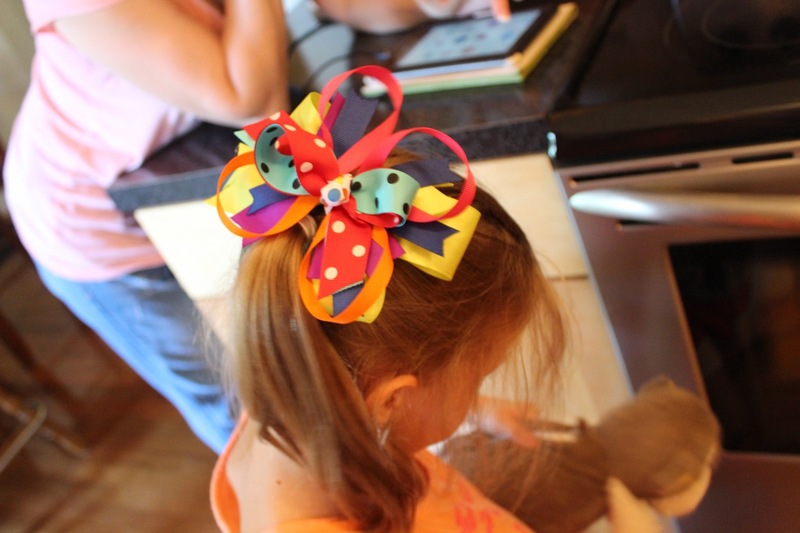 Women on a Mission: Mom Edition: I made the world's largest hair bows! 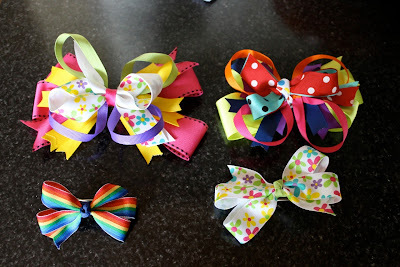 I found several tutorials, but one lady who makes quite a few really good ones calls herself ‘Mommy Crafts A lot” was one of the best. I tried my hand at it and here are the results. I think I’ll make a few more and do a tutorial of my own here on the blog for you so you don’t have to go search around the internet, but for now, here are some pictures of what I made. I’ll just preface these photos by saying that I used what I had on hand and tried to come up with a theme. The bow KD is wearing is kind of the “primary colors” with a big fluorescent yellow ribbon as the large base bow (all I had for 1.5”) and I tried to tie it all in with the bow that wrapped around the center, which was a white one with polka dots in the colors of a Twister game. 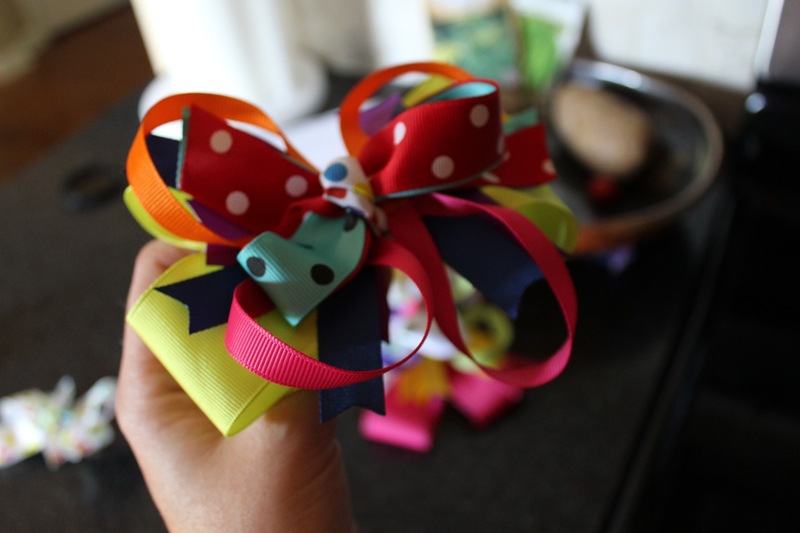 For Easy Mac, the top bow was a floral one, and the large base bow is a matching pink bow (the only other large 1.5” ribbon I had) and I matched everything else up accordingly. 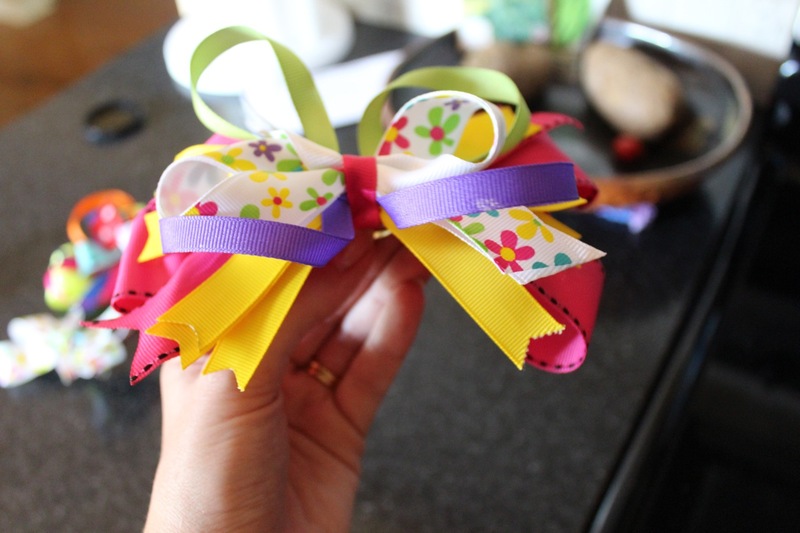 I have a lot of ribbon, but I guess not as much as Mommy Crafts A lot! 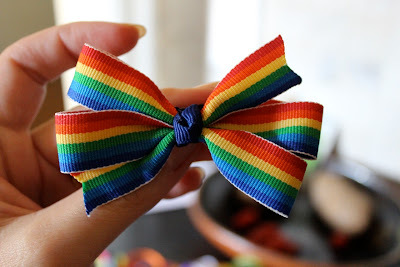 I’ll tell you that I think these are adorable. And if I think they’re adorable, I’ll leave it to your imagination what Shaun’s reaction was. 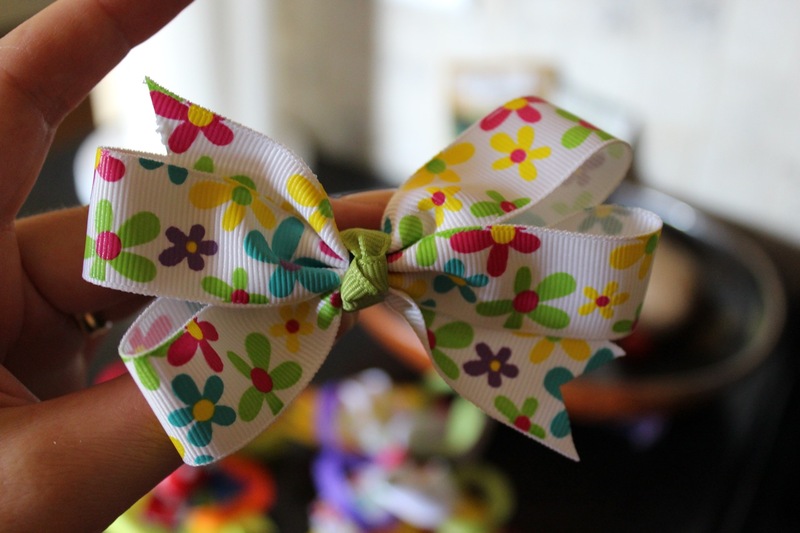 Making the bows was TOTALLY WORTH IT right there. 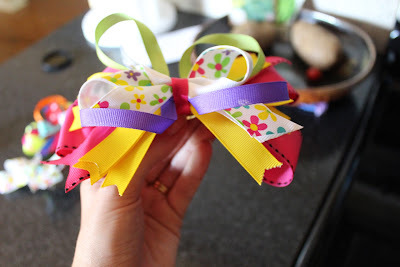 Easy Mac picked out the ribbon. It's really pretty. KD modeling her "stacked bow"